Ernest Hemingway: Author & SPY! Interview Series with Nicholas Reynolds Ernest Hemingway's military adventurism has been fairly well-documented over the years. But a new book by a former CIA intelligence officer and historian, Nicholas Reynolds, while doing research at the CIA Museum tells the little known story of Hemingway's secret life as a spy — both for the Americans and the Soviets. CIA archivist, author Nicholas Reynolds discusses his new book, Writer, Sailor, Soldier, Spy: ... Más informaciones Ernest Hemingway's Secret Adventures. 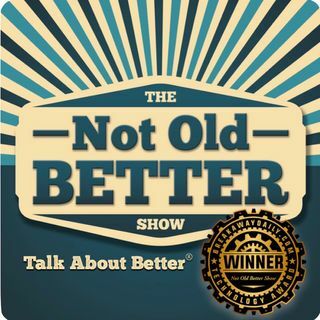 It describes Hemingway's relationship with Soviet intelligence today on The Not Old Better Show. Please join me and check out this excellent, exciting interview with historian and author, Nicholas Reynolds. Enjoy.